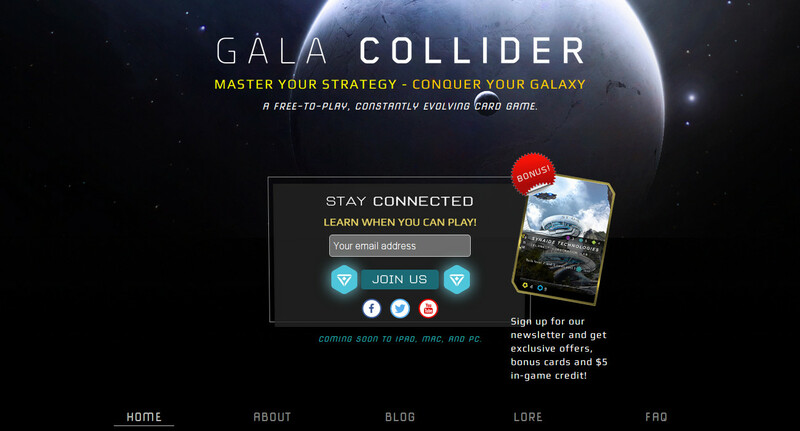 Build a website for the GalaCollider game. The site requires forums for users, interaction/integration with the game server, and a blog space to reach out to customers and propective players. WordPress was first choosen to speed up theme development with a premade theme. The site requires a lot of plugins, such as: mailchimp, bbpress, anti-spam, pods, fastest cache. 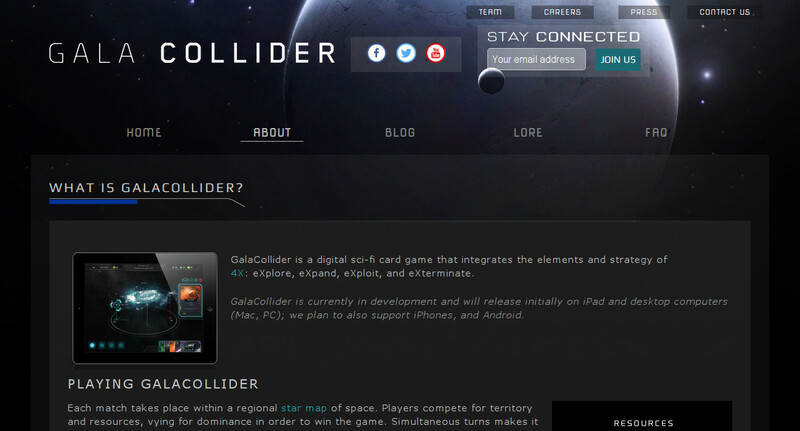 Slowly the theme is being replaced with a custom theme to highlight GalaCollider's features and imagery. The purchased theme was somewhat of a backfire, but it served its purpose for a starting place. Pods is a handy plugin to build out custom page types. Fastest cache really improved the speed of the site.